(61) Photos Printable Brochure Apply For Credit Text Us About This Vehicle! ***** POWER WAGON *** FACTORY LIFT ** MANY OPTIONS *** Now here is one AWESOME looking truck. Just in is this 2012 Ram 2500 Crew Cab 4x4 Power Wagon. What a truck! This one is a very well optioned Power Wagon with options including Power seat, Alloy wheels, Step tubes, Tow package, Spray in bed liner, Ram Box option, Power Moon roof, Large Screen Radio, Alpine Premium sound system, Bluetooth, Cab Lights, Remote start, Tow mirrors, Trailer brake controller, Power rear sliding window, and much more. Power comes from the big 5.7L Hemi V8 providing ample power to pull your camper or boat this summer. The Power Wagon is also a Carfax Certified accident free vehicle. Don't settle for less. Buy this amazing truck and stand out in the crowd. Call or Text us now before this one is gone. 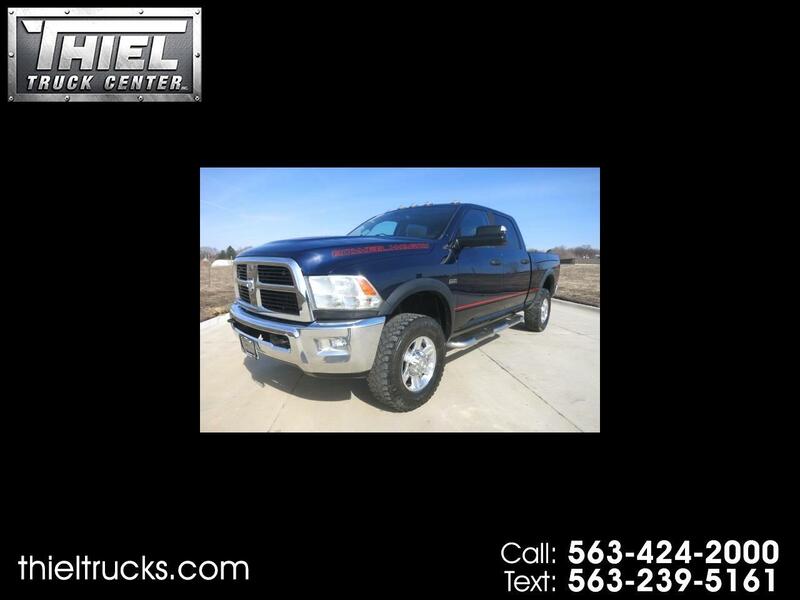 THIEL TRUCK CENTER is the Quad City’s Pre-Owned TRUCK EXPERT! We have the BEST Selection of trucks and SUV’s and always at the best prices. Be sure to see all our vehicles on our website at www.ThielTrucks.com We are conveniently located just 2 miles off I-80 on Hwy 67 in Pleasant Valley Iowa near Bettendorf Iowa. Call us now at 563-424-2000 or TEXT us at 563-239-5161. Financing and Nation wide delivery available. Call for details.